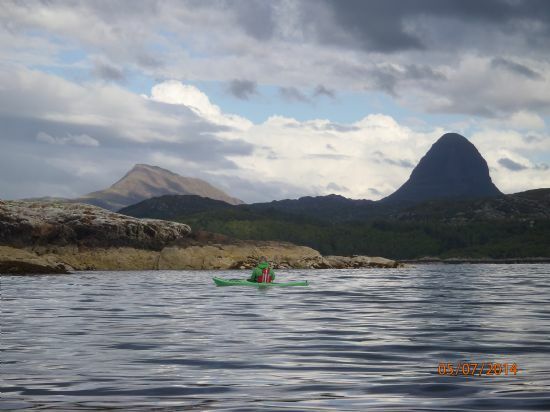 Come and explore Coigach and Assynt's stunning marine life and geology, by sea kayak. We are the first Scottish ‘Geo Park’, and have recently been voted number 1 landscape in the whole of the Uk & Ireland, due to our enthralling Geology, that gives forth to our unique and mesmerising landscape. 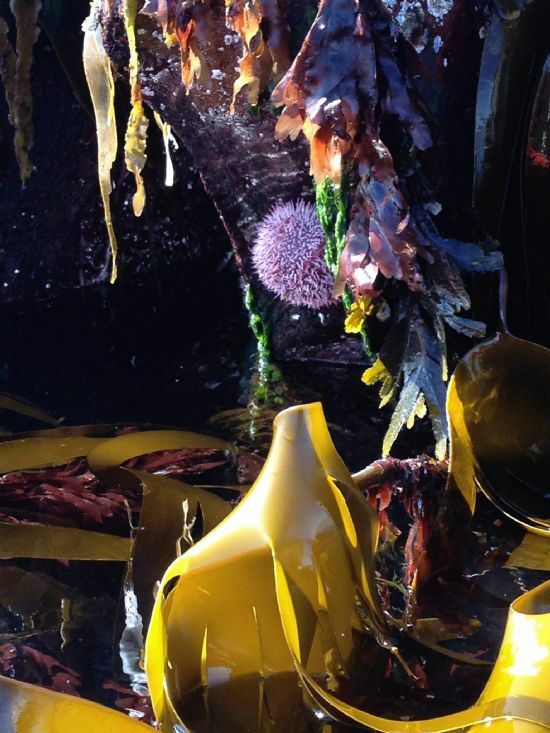 This is a fantastic opportunity to not only learn or improve your sea kayaking, but find out and be inspired by our marine life & geology, as we will be joined by the UHI's marine & geology expert John Howie, who will open our eyes to the land and seascape all around in a fun, relaxed and inspiring way! This is an exciting collaboration with the North-West Highland's Geo Park. A basic understanding of Geology brings this and other landscapes to life and helps us understand the culture, history, flora and fauna, as it is the bedrock of them all. Geology underpins everything, it has shaped where we live, what we do, what we grow. From a nature perspective it has also shaped where they live, what they do, how they grow. And there is no better way to see this landscape than from the sea. We will explore Coigach & The Summer Isles, with its amazing sandstone architecture in the form of magnificent caves, and natural rock arches. From the sea we will view Assynt & Coigach’s sandstone mountains erupting from the landscape, in their unique shape and form. 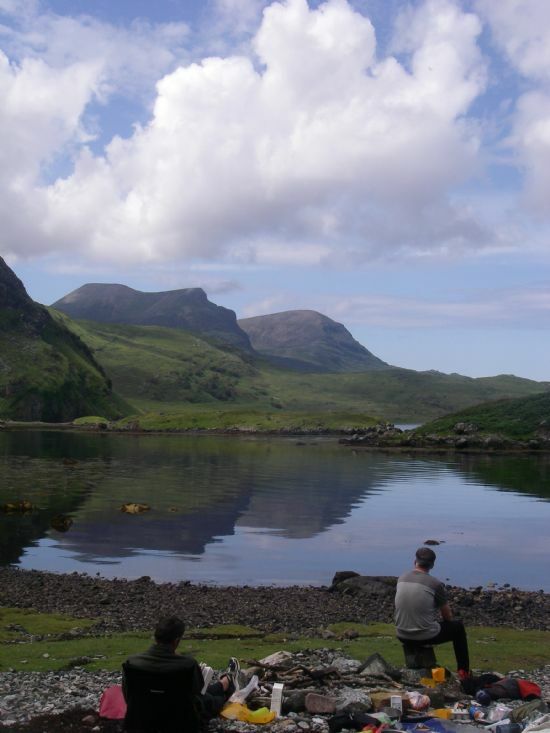 Assynt's coastline is made up of some of the oldest rocks in the world! It is wild and rugged with dramatic rocks, towering sea stacks and amazing cliffs, interspersed by stunning white-sand beaches. 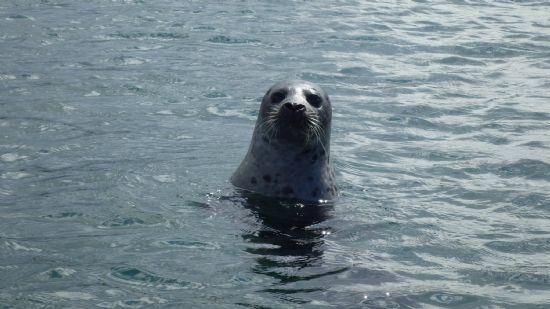 As we paddle we will be looking out for wildlife & marinelife in all its forms, above and below the water; Sea Eagles, otters, dolphins and whales. Sea cucumbers, coral, jellies, and urchins. You will be staying at the stunning Glencanisp Lodge on the Assynt Foundation’s community owned estate, with uninterupted views of the Assynt & Coigach mountains. 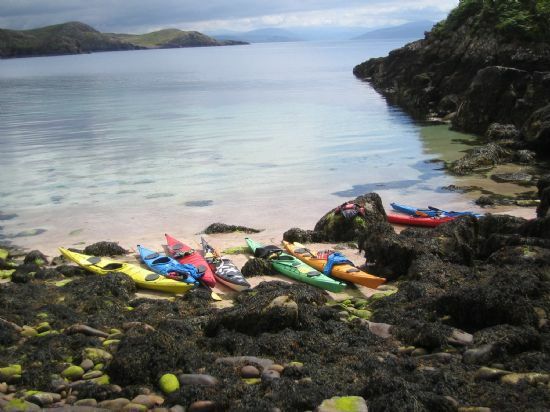 After your days sea kayaking adventures on the beautiful and rugged Coastline you can relax in the luxury of the lodge, or you can stroll in your very own private woods or loch at the bottom of the garden, or go for a gentle stroll in the fresh air of the virtually deserted 44,000 acre estate right on your doorstep. From your rooms you have uninterupted views of the Assynt mountains, from your kayak you have uninterupted ocean at your paddle-tips and the beauty of wilderness and wildlife all around! Glencanisp offers double and twin rooms. They can also offer single rooms with a £20 supplement. You will have breakfast at Glencanisp lodge, we will have a picnic lunch of local produce. When we come off the water we will have freshly brewed tea/coffee and homemade cake. In the evenings we will eat out at various award winning local eateries, including 'Salt Seafood Kitchen' Achiltibuie, Kylesku Hotel, Lochinver Larder & The Caberfeidh Dining Pub. 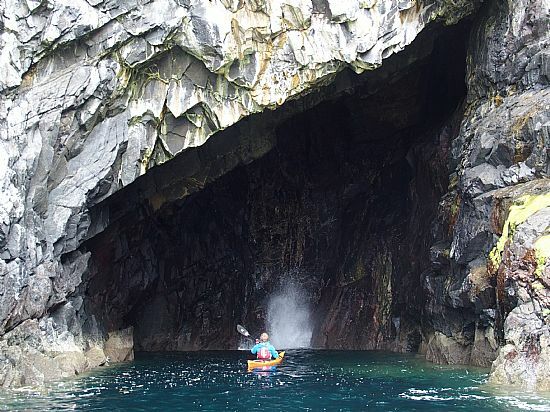 Included in the price is: accommodation on a B&B basis, picinic lunch, tea/coffee and homemade cake, kayak guiding & coaching, equipment & transport in the area. Evening meals are not included in th price.